Are you asking yourself questions about bronzers, tinglers, moisturizers, and more? If so, you could use a fast-track lesson on some common tanning lotion product terminology! From accelerators and maximizers, to hemp seed oils, caffeine, silicone, and more, understanding some facts and meanings of these common terms will help you choose the right product for your skin type and tanning goals! Continue reading to review a brief lexicon of some common tanning lotion terminology! Accelerators – Accelerators are level one products that are perfect for beginners. They simply “accelerate” the tanning process by speeding up the amount of time it takes to acquire a tan, as well as, enhancing the quality of the resulting complexion. Anti-Aging – Products that advertise anti-aging qualities are those that contain certain properties and vitamins that protect the skin from premature maturation and loss of elasticity. Avocado Butter – Avocado butter is used universally in the skin care industry as a natural moisturizer. In tanning lotions, it provides protection from skin dehydration. Beta Carotene – Beta carotene is a red/orange pigment carotenoid and an antioxidant. The skin converts beta carotene into Vitamin A, which is an essential vitamin. Also known as retinol, Vitamin A helps support healthy pigment coloration. Body Blush – Body blush is a unique product in that it works similarly to a tingler, but doesn’t generate the hot, tingling sensation. This is recommended for those who are experienced tanners who want to use a tingler, but have sensitive skin. Bronzers – Bronzers are ingredients that contain self-tanners. Commonly found in both accelerators and maximizers, bronzers are sought out for rapid results and deeper, darker pigment coloration. Caffeine – Caffeine-containing tanning products decrease puffiness and rejuvenates the skin. Just like caffeine wakes you up in the morning, it can also be added to tanning lotions to wake up your skin and make it glow. Cocoa Butter – Just like avocado butter, cocoa butter is added to many tanning lotions as a moisturizer and skin hydrator. Cocoa butter is often admired for its sugary smell and skin restoring qualities. Collagen – Collagen is a protein that gives our skin strength and elasticity, and replaces dead skin cells. It is commonly added to tanning products to improve skin elasticity and help prevents wrinkles. DHA – DHA is usually found in bronzers, and often times combined with other bronzers. They produce a darker bronzer color that is commonly described as an “artificial-looking tan.” You can purchase products that are DHA-FREE if you prefer a more natural-looking tan. Hemp Seed Oil – Hemp seed oil is a rich tanning lotion ingredient that helps nourish and moisturize the skin. It is found in many tanning products because it is a highly effective ingredient. Level I, II & III – Tanning lotions are generally categorized as level one, level two, or level three products. Level one products are designed for beginners, or individuals with sensitive or fair skin tones. Level three products are for more experienced tanners, as well as, individuals with darker skins tones or skin that does not easily burn or aggravate. Matrixyl – Matrixyl is a trademarked polypeptide (palmitoyl-pentapeptide 3) added to tanning lotions to stimulate long-term collagen production in the skin. It helps to repair skin damage and premature aging. Maximizers – Maximizers are found in level II tanning products for the purpose of enhancing skin tone and color product. They are recommended for those who have a solid and healthy base tan. However, they usually contain few moisturizers, so it is wise to add one if you use maximizer tanning lotions. Retinyl Palmitate – Retinyl Palmitate is a form of Vitamin A that is composed of palmitic acid and retinol. Just like Beta Carotene, it stimulates and maintains pigment coloration. 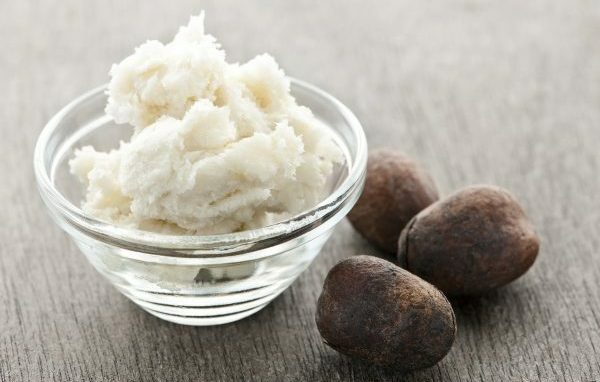 Shea Butter – Shea butter is added to tanning lotions for the same purpose as avocado and cocoa butter. It is a natural moisturizer that aids in skin nourishment, hydration, and texture. Silicon – Silicon is a mineral that is commonly added to tanning lotions for skin conditioning purposes. It helps revitalize skin and improve texture. Tinglers – Tinglers are level III tanning lotions that contain certain ingredients to improve skin circulation and increase UV-ray absorption. These ingredients increase blood flow, which causes the skin to redden and prickle. As a result, skin tans faster; however, these sensations can be quite uncomfortable for some people. Tinglers are not for everyone! Tocopheryl – Tocopheryl Acetate is a form of Vitamin E, which is commonly added to tanning lotions for its skin revitalizing and tightening properties. It helps create younger, tighter, healthier skin texture. Trylagen – Some tanning lotions contain Trylagen, which is an ingredient that boost collagen and elastin production in the skin. This can help with aging and reducing the look of aged skin. Tyrosine – Tyrosine is an amino-acid derivative that stimulates melanin production in the skin. As a bonus, it also stimulates the production of mood-influencing chemicals like serotonin and dopamine. Vitamin B-2 – Also known as Riboflavin, Vitamin B-2 is an important compound that supports healthy skin. It is commonly found in tanning accelerators. Vitamin D – This is an essential vitamin that our bodies need for survival. However, our bodies cannot produce with being exposed to UV light. It is added to tanning lotions to increase the amount of Vitamin D you get from tanning. Vitamin E – See “Tocopheryl Acetate.” Vitamin E is a fat-soluble nutrient that works as an antioxidant. It fights off free radicals to reduce fine lines and wrinkles. It is found in tanning lotions because it helps prevents sun damage and reduce the appearance of fine lines, wrinkles, and dark spots. Unipertan – Unipertan is a bioactive complex that is a combination of Tyrosine, Collagen and Vitamin B-2. Tanning products often contain Unipertan because it helps boost melanin production and natural skin bronzers. This entry was posted in Skin Care, Tanning Facts and tagged Broad Ripple tanning salon, Indianapolis tanning salon, tanning ingredients, tanning lotions, tanning terminology, tanning terms. Bookmark the permalink.